The $3.5M instrument will be used for research into superconductors, graphene, and quantum materials, among other projects. 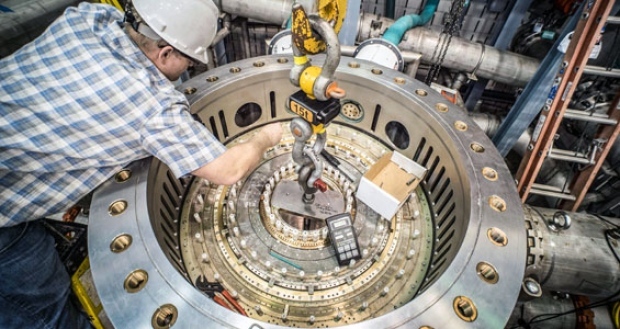 Engineers at the National MagLab in Tallahassee, Florida have successfully tested the world’s strongest resistive magnet. Two and a half years of design and development allowed the laboratory to reclaim the record, which it held for a period of 19 years until it was outmatched in 2014. The magnet — referred to internally as “Project 11” in a reference to the cult comedy This is Spinal Tap — bears a strength of 41.4 teslas. Using 32 megawatts of DC power, it was able to outdo the previous record holder, a 38.5 tesla instrument built in Hefei, China. However, having cost $3.5 million to produce, the magnet isn’t just a method of outdoing other research teams around the world. The benefits of such a powerful instrument will create all kinds of advantages across several different applications. This ultra-powerful instrument isn’t a case of research for the sake of research. It’s poised to help scientists in other disciplines make progress on their own projects. “Studies of superconductors and ultra-thin materials like graphene will benefit particularly from the ability of this new magnet to reverse the direction of the field during experiments,” said Greg Boebinger, the director of MagLab. Project 11 is a resistive magnet, as opposed to a superconducting magnet or a hybrid. This is easier to use than the other two types, and offers users the ability to make adjustments to its magnetic field and polarity while experiments are being carried out. They can also continuously run. Visiting researchers will be given access to Project 11 in the coming weeks. It’s expected to have a particularly profound effect on efforts to investigate quantum materials.